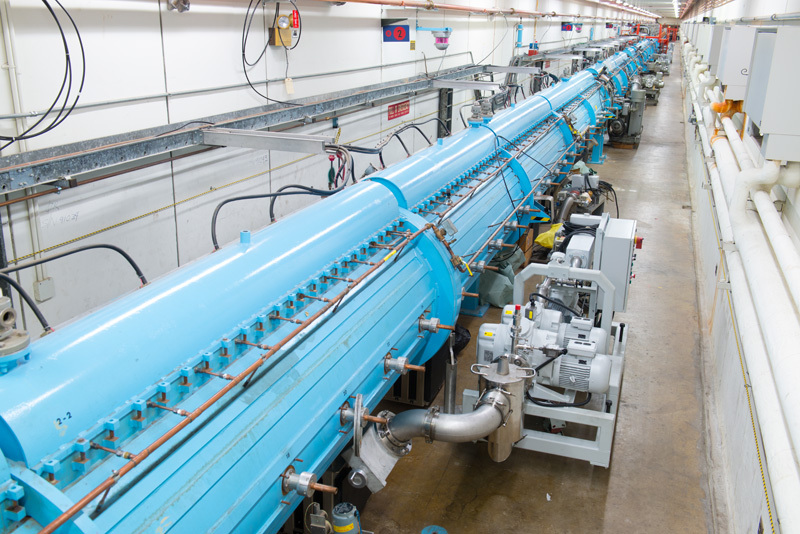 It’s a moment that many at Fermilab have been waiting for: After a period of maintenance, construction, upgrades and repairs, every one of the laboratory’s nine particle accelerators is in run mode as of this publication. 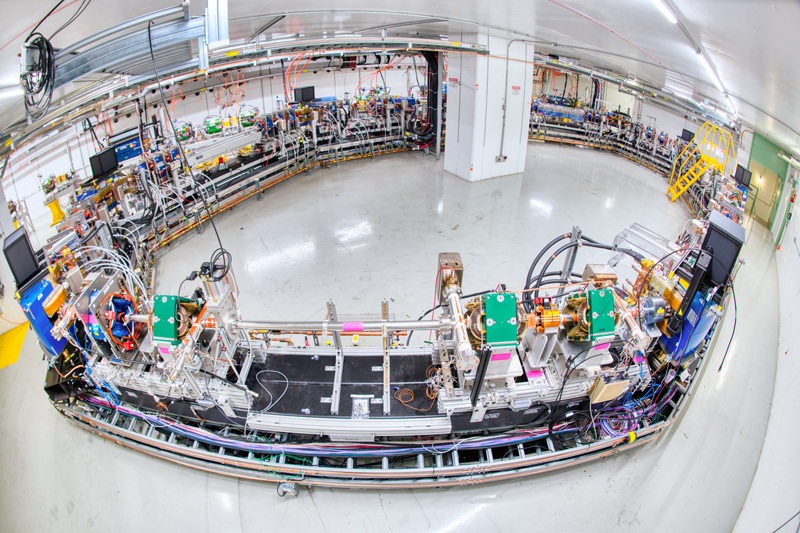 This means that all four of the accelerators in the lab’s main accelerator chain are running, as are both machines for the Muon g-2 experiment; both of the machines for the lab’s accelerator science program; and the lab’s applications-focused accelerator. With the lab firing on all accelerator-cylinders, it’s a good time to provide a rundown of each member of Fermilab’s accelerator complex, from the oldies to the newest machine. Since the lab’s inception in 1967, the family of particle accelerators that call Fermilab home has gone through many changes. Fermilab’s rich history of scientific discoveries began with the construction of the four-mile-circumference Main Ring in the early 1970s, followed by the installation of the game-changing Tevatron particle collider, which ran until 2011. 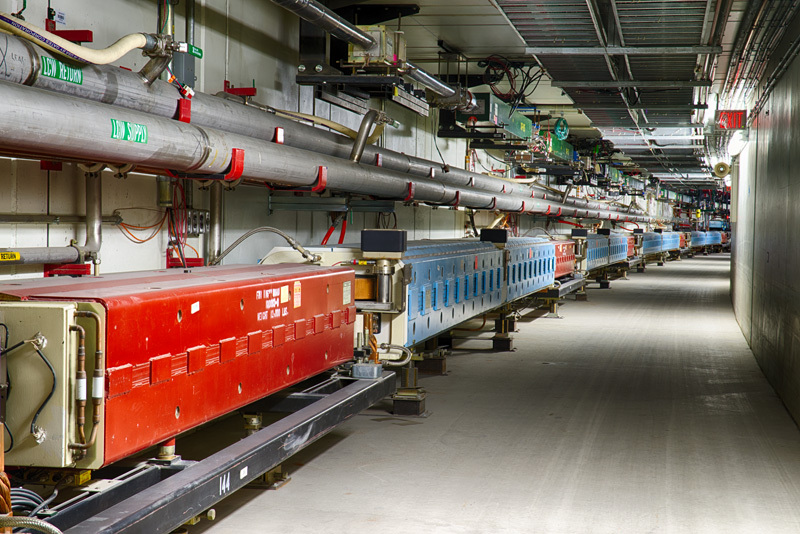 Now the lab is in an era of neutrino and muon physics, and several of its accelerators and storage rings have been reconfigured to deliver new and more intense beams for numerous experiments. Today, no fewer than nine main accelerators power technological advances and groundbreaking discoveries at Fermilab. Built: First operated in 1970, upgraded in 1992. 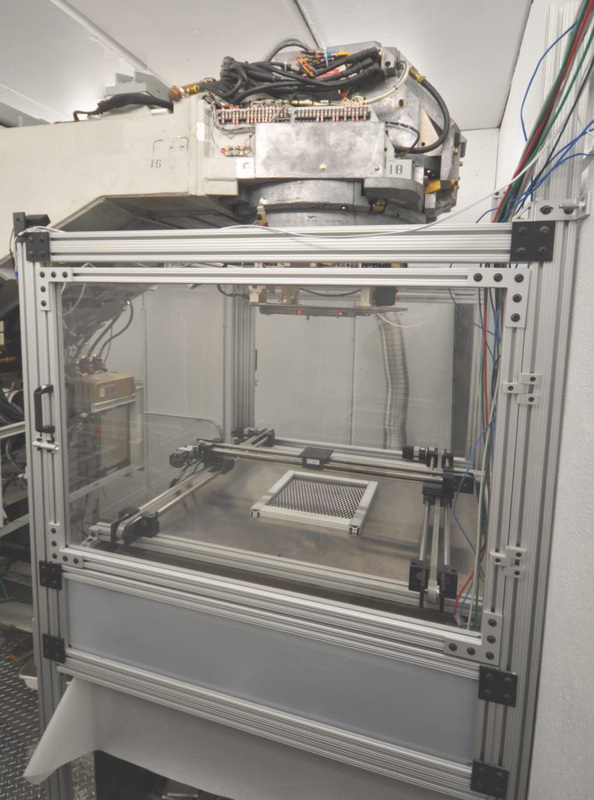 New front end — a radio-frequency quadrupole — added in 2012. Major power upgrade in 2018. Purpose: Creates initial acceleration of particles for Fermilab’s chain of particle accelerators; feeds Booster. 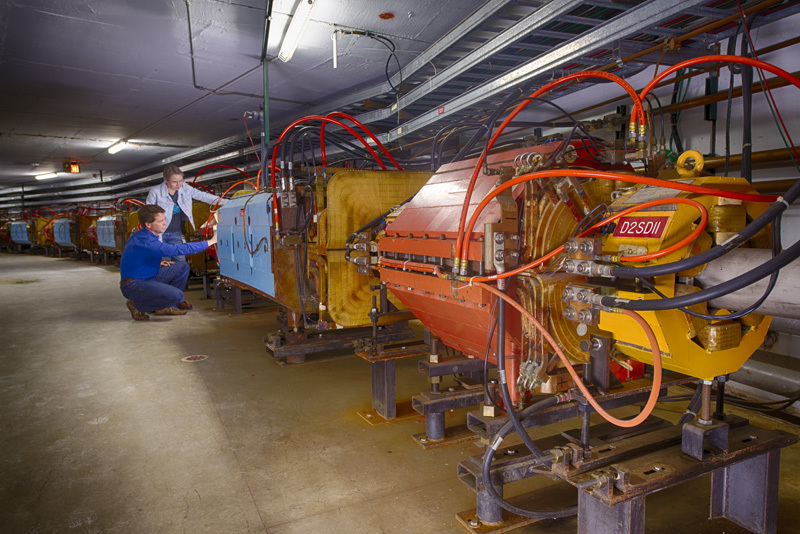 Purpose: Strips electrons from hydrogen ions provided by the Linac, leaving protons. Gives further energy boost to proton beam to feed into Recycler. Provides protons for the production of muon beams for Muon g-2 and upcoming Mu2e. 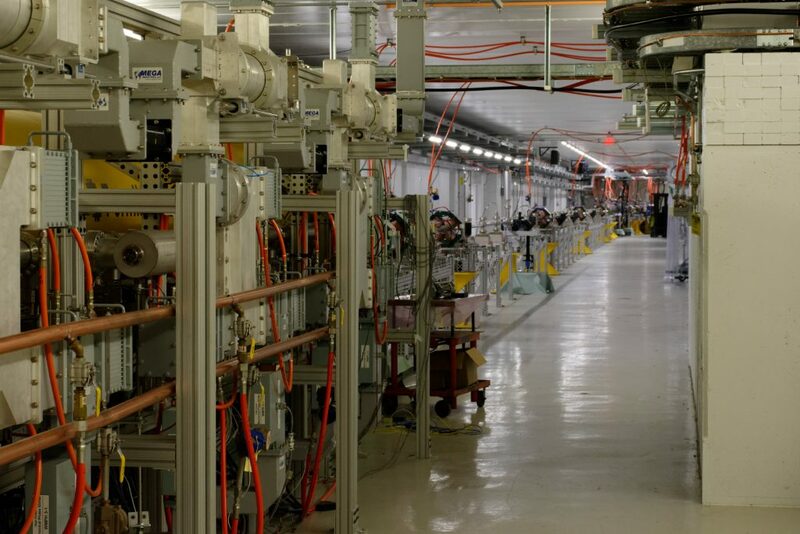 Also provides protons for production of low-energy neutrino beam for MicroBooNE, with two more detectors under construction: ICARUS and SBND (all part of the Short-Baseline Neutrino Program). 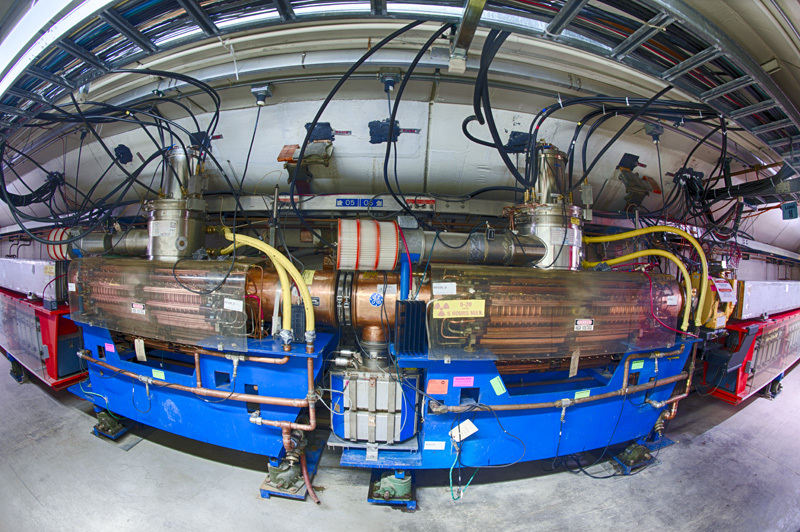 Purpose: Originally used for antiproton cooling and storage for Tevatron, converted to proton beam use in 2013. Combines bunches of protons in beam to increase intensity – a process known as “slip stacking.” Feeds Main Injector, located in same tunnel, below the Recycler. 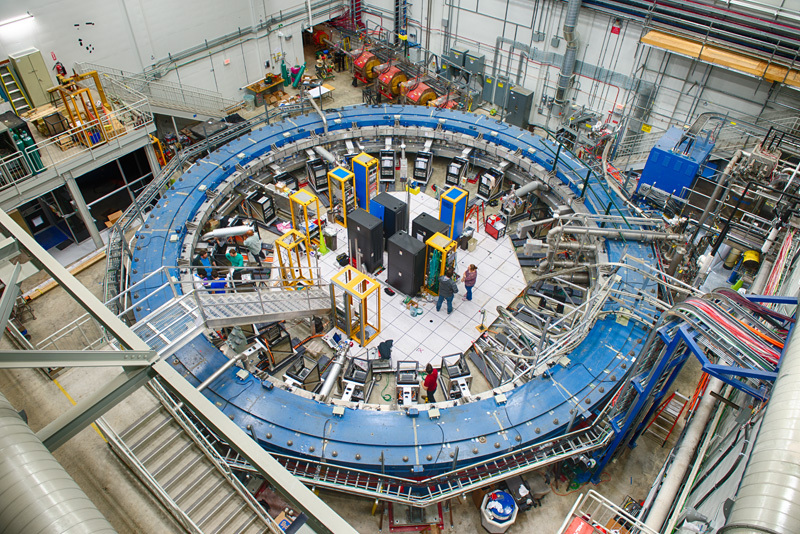 Also provides protons to produce muons (working with Muon Delivery Ring, below) for Muon g-2 and Mu2e experiments. Purpose: Provides protons (at some of the world’s highest intensities) to create neutrino beams for NOvA and upcoming LBNF/DUNE. Sends protons to Fermilab Test Beam Facility. Until 2011, provided protons to antiproton ring and Tevatron. Purpose: Provides beam for Muon g-2 and, in the future, Mu2e experiment. Proton beam from Recycler smashes into target to produce pions, which decay into muons for use in Muon g-2 experiment. For Mu2e experiment, will deliver protons. Purpose: Store muons for the Muon g-2 experiment. Purpose: Provides platform to investigate how electron beams can be used in industrial applications and better develop specific processes. Purpose: Provides beam for IOTA accelerator at FAST facility, which will test new accelerator technologies. 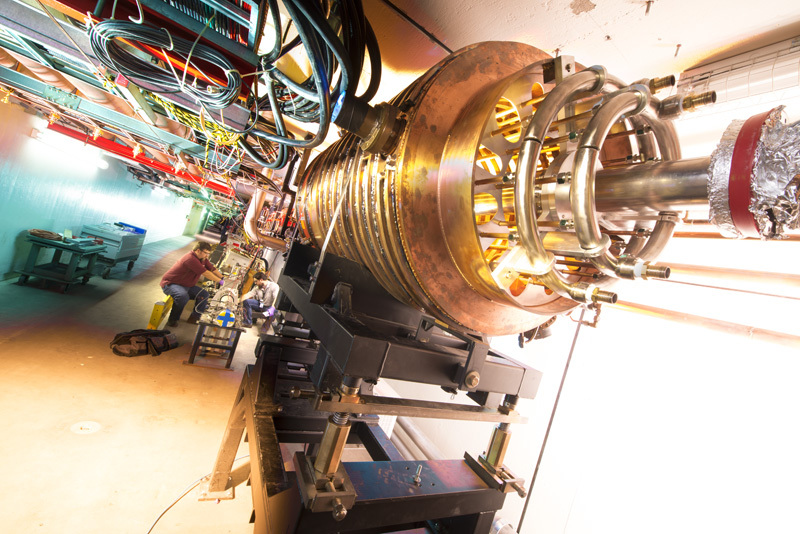 Purpose: Stores electrons (and in the future, protons) to test new accelerator technologies.